THIS IS IT! Looking for a place near the beach with lots of parking, large fenced yard, storage for all your toys like: RV, Boat, Golf Cart, Tow Trailer with room for the whole family! Lots of entertaining spaces (3 patios, large covered porch and a grilling deck!) with no HOA dues! 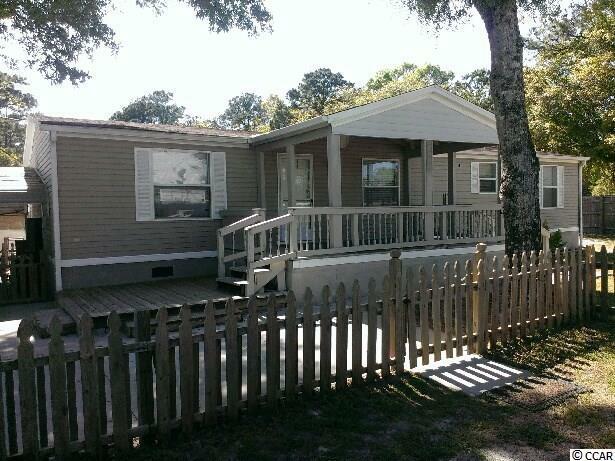 A great find with 4 bedrooms, 3 full baths with a Work Shop and tons of storage! Just a short drive to the beach in a Low Speed Golf Cart! Must see! Even has a Mother In Law Suite with a full bath, private entrance and patio! New HVAC unit in late 2013! Updated all kitchen appliances! New wood laminate flooring in DR, kitchen, hall and laundry room!